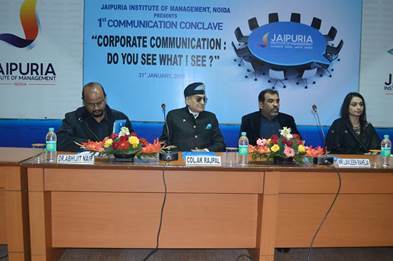 Jaipuria Institute of Management, Noida witnessed its first ever communication conclave held on 31st January 2015 with professors and professionals participating along with zealous students eager for heavy interaction. 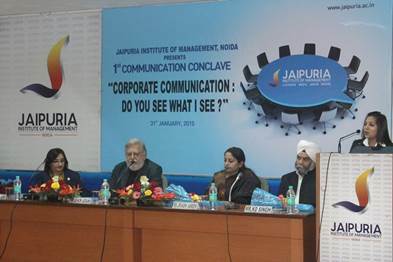 The main topic for the conclave was “Corporate Communication: Do you see what I see?”. 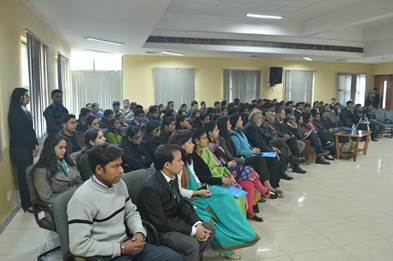 The event was successfully organized by the faculty coordinators: Dr.Abhijit Nair, Ms. Richa Dhar, Ms. Kanchan Rana, Prof. Ashok Advani, Col.Rajpal and Dr.Niva Bhandari. The chief guest of the event was Mr.Lavleen Raheja, CEO & Chairman of Franklin Covey who inaugurated the conclave by lighting the divine lamp. 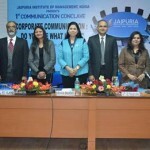 Dr. Poonam Sharma in her welcome speech focused on clear communication as the fundamental requirement for success. 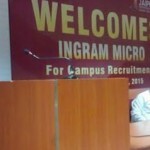 She, then tapped on the importance of “touching the locus” which means winning the hearts in style by quoting examples from speeches of Mr. Barack Obama and Mr.Narendra Modi. 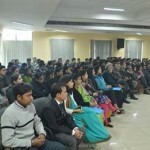 She also emphasized the importance of effective and clear communication in all the areas of sales and marketing; in fact in all the business domains. 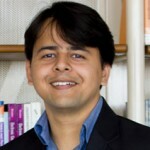 Mr. Lavleen Raheja mesmerized the audience by his enthralling presentation, which focused on “7 Habits of High Effectiveness”. 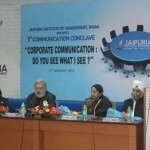 He quoted the rising corporate demand for cultivating the art of communication clearly and the ability to follow the same with action. He then emphasized on the importance of trust using examples like GE to highlight the organizational shift from “profitability” to “trust”. 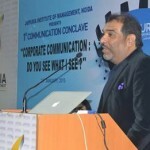 He also spoke about the shift of organization towards value creation in every sphere of their activity. 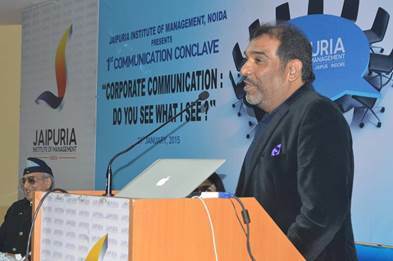 The inauguration came to an end with a thanks giving speech by Dr.Abhijit Nair who quoted enthusiasm as the prime essence of communication. The Panel 1 discussion came into action with focus on “Effective Communication, A tool for communication without authority”. The Panelists comprised of: Capt. 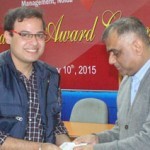 Ved Prakash Singh,Corporate Head –HR, Jamna Auto Industries Ltd, Ms. Ira Aggarwal-Director Mission I AM . 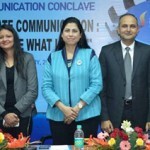 Col. M.S Vilkhu, Advanced Communicator, Toastmaster International and Ms. Mridula Lawrence, India Communications lead-CSC.” The session was moderated by Dr.Niva Bhandari. 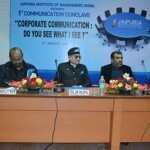 The discussion started with a focus on effective communication throughout i.e. within teams, in cross functional teams and among people across all age groups. The speakers also shared their experiences. 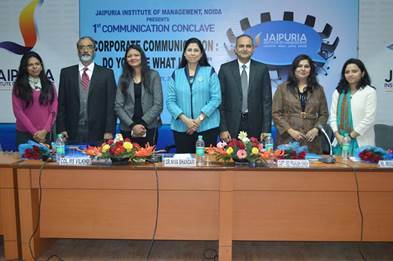 The Panelists for the 2nd Panel were Mr. K.D Singh VP-Corporate Services –Maruti Suzuki Ltd, Ms. Poonam Jain Founder President Suprayas & DTM Toastmasters International and Ms. Urvashi Sareen Senior Manager HR Tech Mahindra, with the session being moderated by Prof. Ashok Advani. The speaker shared their real life experience with the help of stories and examples to emphasize on the barriers to effective communication and discussed the possible ways to mitigate the same. The panel also discussed about the various methods employed by organisations like Maruti Suzuki Limited and Tech Mahindra to overcome cross cultural challenges.